Strasbourg's Anthony Goncalves defended his rough treatment of Neymar, saying the Paris Saint-Germain forward must "not come and cry" after suffering a foot injury in their Coupe de France tie. 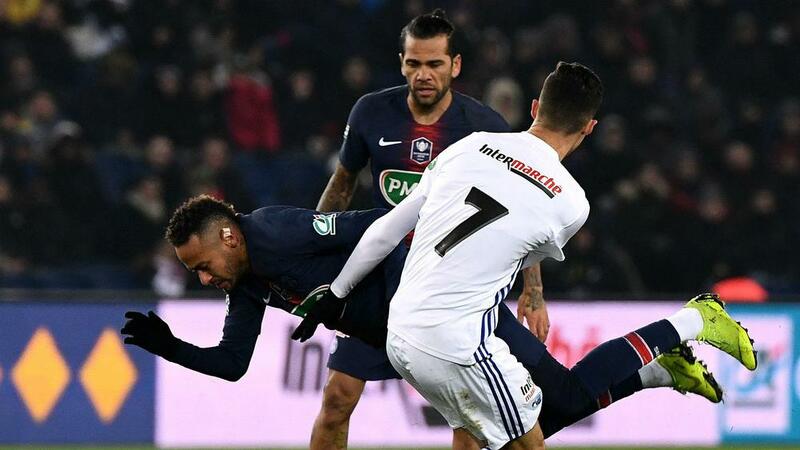 Neymar appeared to sustain the injury in a challenge from Goncalves when the Strasbourg midfielder tried to tackle the PSG star on three occasions before referee Johan Hamel awarded a free-kick. Neymar, who was unhappy with Goncalves after the incident, then flicked the ball over his opponent's head from the resultant free-kick before eventually succumbing to the injury and hobbling off.